With the colder weather surrounding us, June’s edition of Australian Home Beautiful focuses on the interior of your home, particularly on using your furnishing to create a romantic and cosy luxury feel to your favourite spaces. Read the latest tips for design experts on the right lighting for the right mood and room, plus learn a few quick, cheap and easy tricks to update your bathroom in an instant. 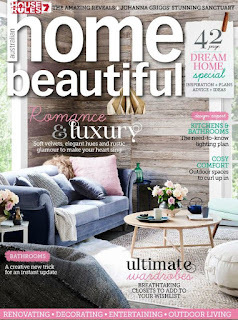 For all readers with packed-tight closets, this edition of Australian Home Beautiful will have you creating your dream closet wish list, with breath-taking ideas and designs. Read this all for yourself by logging in to Zinio and reading on your computer or mobile device, and don’t forget, it’s entirely free!